Jon Jonson Photo/Gila Valley Central: Andrew Kunz, 11, felt well enough to visit Sodalicious on Monday during its fundraiser for him. The company donated 10 percent of its sales of the day to help with medical expenses relating to Andrew being stung more than 400 times by "killer" bees just a week prior. SAFFORD – Eleven-year-old Andrew Kunz is fast becoming known as “the boy who lived” referencing Harry Potter in how well he has responded to treatment since suffering more than 400 “killer” bee stings Feb. 20. Andrew was released from Phoenix Children’s Hospital on Thursday, just one week after being swarmed in a bee attack. On Monday, he was well enough to join family members and friends from the Boys & Girls Club of the Gila Valley at Sodalicious to take part in the store’s fundraiser for him. Andrew and a friend were attacked by bees who had taken up residence in a rusted out old car in a gully where the boys were shooting a BB-gun behind Andrew’s residence off Sunset Boulevard. The area is in-between E. Graham Canal Road and Airport Road, north of the Gila River. The sound of the BBs hitting the car likely agitated the bees, which were most likely Africanized “killer” bees. 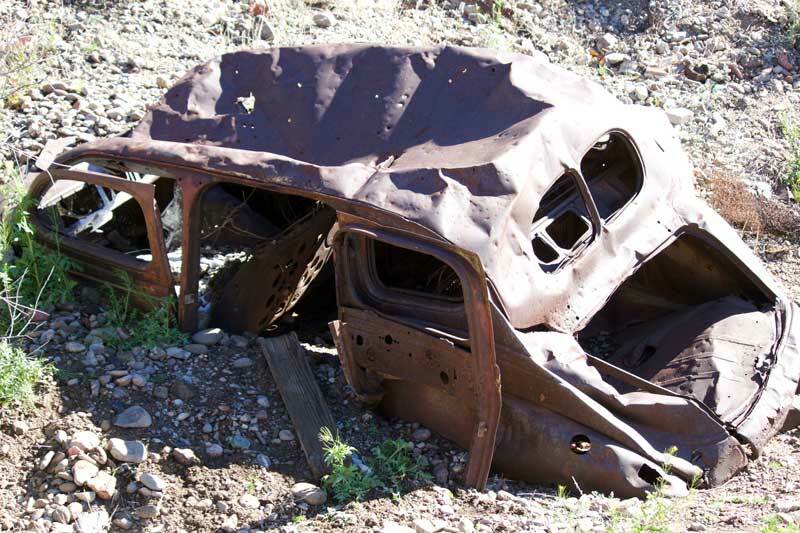 Jon Johnson Photo/Gila Valley Central: The beehive was located in this rusted out old car. 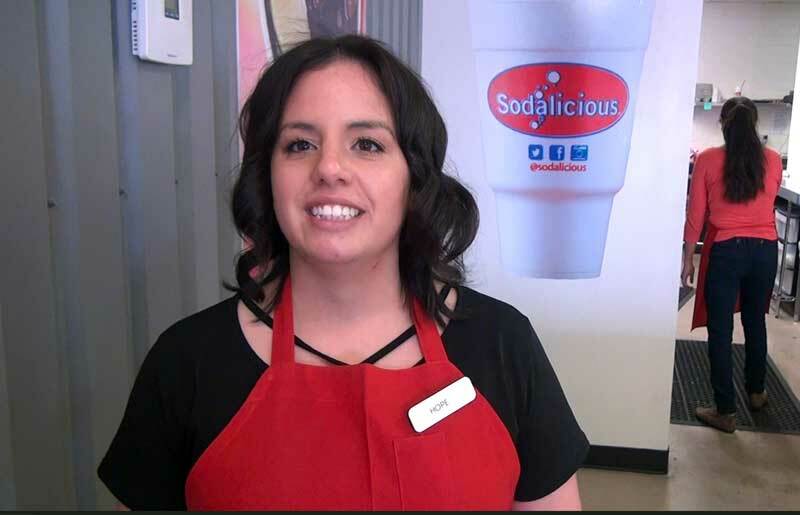 Sodalicious manager Hope Maxwell said after reading about Andrew’s plight in Gila Valley Central, she decided to see if her corporate bosses would let her do a fundraiser at the Safford location for him. “I talked to some of my bosses and they were all for it,” Maxwell said. “We were excited to do it. It was a good opportunity, and it’s nice to help somebody. Maxwell said the store would take 10 percent of the day’s sales and contribute it to Andrew’s family to help with medical and other expenses. There was also a firefighter’s boot, donated for the event by Safford City Councilor and firefighter Chris Taylor, that was placed on the counter to allow for any cash donations. Jon Jonson Photo/Gila Valley Central: Sodalicious manager Hope Maxwell decided to hold the fundraiser after reading about Andrew’s plight. Two members of the Graham County Sheriff’s Office, Sgt. Jacob Carpenter and deputy Justin Baughman, and Safford Fire Chief Clark Bingham were stung during Andrew’s rescue. The three first responders were treated at Mt. Graham Regional Medical Center and released. The city of Safford has indicated that it is going to reward Bingham for his heroism. Bingham, who is also allergic to bee stings, led Andrew out of the fray through roughly 200 yards of desert to an awaiting ambulance. While most of the swelling has gone down, Andrew is still sore from his ordeal and taking his recovery one day at a time. His sage words of advice if anyone is in the same situation is to run away on as flat as ground as you can find for as long as you can. Andrew’s family expressed their gratefulness to the community and the outpouring of support. They said they’re just glad to have Andrew back with them. Andrew’s grandmother, Petrea Kunz, who alerted emergency personnel to where Andrew was and stayed by his side at Phoenix Children’s Hospital with her husband and daughter as Andrew was treated, also was grateful for the outpouring of support. 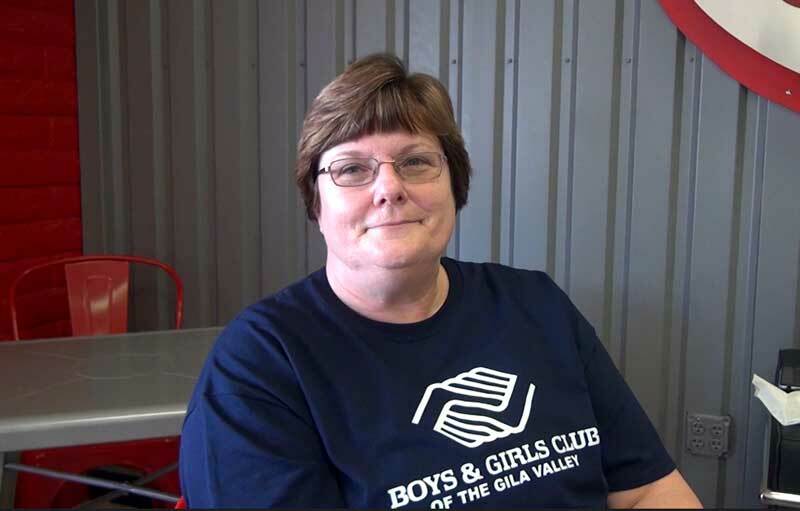 Jon Jonson Photo/Gila Valley Central: Andrew’s grandmother, Petrea Kunz, thanked everyone for their assistance during Andrew’s trauma and recovery. 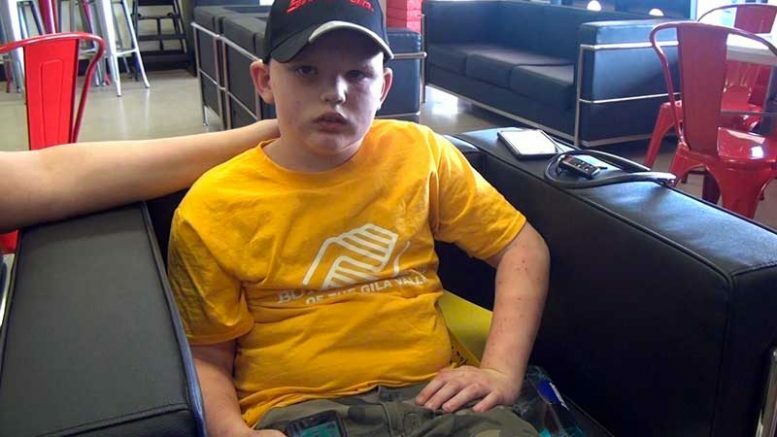 While a bit embarrassed of his ordeal and still dealing with the trauma of the near-death situation, Andrew is bouncing back, playing video games and participating in educational classes at the Boys & Girls Club of the Gila Valley. Before you know it, he just might be up to go back out exploring and playing in the beautiful desert that surrounds the community. And this time, if he runs into any bees, he knows just what to do.